We’ve found great deals at 87 hotels! 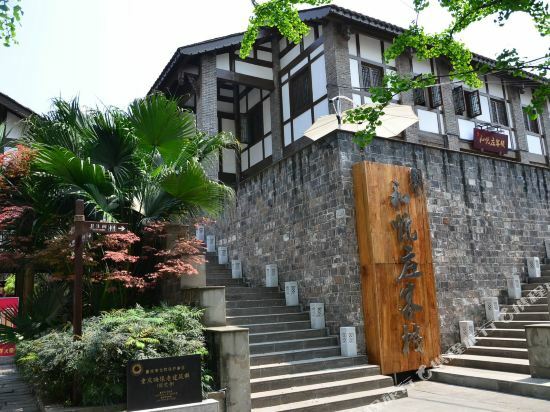 The Xianxia Kongjian Chain Inn (Fairy Mountain) is a great choice for guests looking for accommodation in Chongqing, having been recently opened in 2016. It's easy to keep connected with the property's Free in-room Wi-Fi. The hotel is 184km from Chongqing North Railway Station and 193km from Jiangbei International Airport. 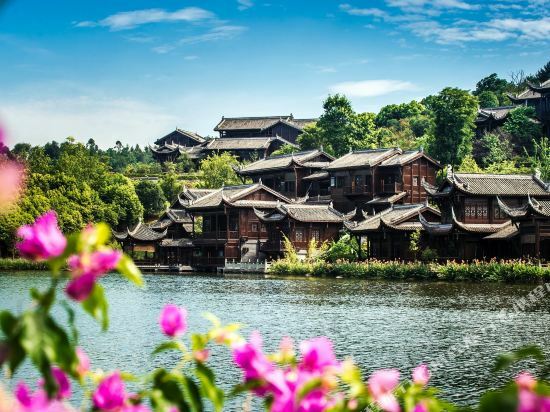 Nestled in the grounds of ancient hot spring temples, the Brilliant Resort & Spa, Chongqing (Chongqing Bailian Wenquan Jingpin Jiudian) is the perfect tonic to the daily grind and is just 40 km from Chongqing Jiangbei International Airport. The lush green surroundings and Ming and Qing dynasty temples set the perfect stage for the Brilliant Resort & Spa's 31 spacious rooms and suites, each of which features its own private outdoor hot spring, southeast Asian-inspired decor and tremendous river and mountain views. A 24-hour butler service is on hand to ensure guests' have the utmost enjoyable stay. Two restaurants offer Chinese and Japanese cuisine with a focus on healthy eating and quality ingredients, accompanied by fine vintage wines and an extensive sake selection. The creatively-inspired can whip up their own creations at the in-house cooking school, alternatively guests can just relax and enjoy cocktails and fine river views in the Long Lobby Bar. All of this is just a precursor to the main event of course, the hot springs and spa. Kick back and enjoy a range of products that run the gamut of well-being and relaxation techniques from across continents, from Swedish massage to Chinese Tui Na, rebirthing, meditation, Dead Sea therapy and Ayurveda. 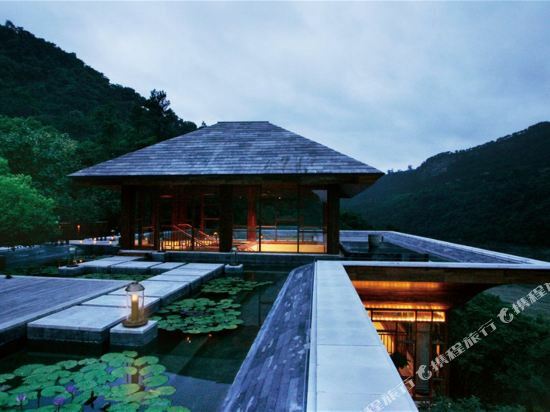 Set to the sound of Taoist temple bells, evening drums and the gurgle of the 1,600-year-old springs, it's a physical and spiritual experience. The Ronghui Hot Spring Resort (Ronghui Quan Bieyuan) is a five-star hotel located next to the hot springs and a water park. An on-site restaurant serves both Chinese and Western fare. A coffee shop and lobby bar provide additional spaces for guests to meet with friends or relax with a drink. Those working while away have full access to the hotel's business center and meeting rooms. Besides the hot springs, guests can unwind at the gym or swimming pool, or have some fun at the nightclub or karaoke rooms on the premises. If you want to stay in the best hotel in Chongqing, China, please come to Trip.com for a custom trip. Staying in exclusive Chongqing Inns hotel Trip.com offers, you can fully relax and enjoy the stay in Chongqing and around Chongqing. 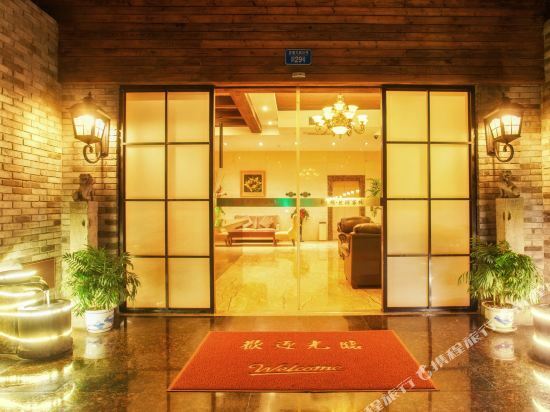 All these Chongqing Inns hotels lead in the industry in aspects of environment and recreation facilities, providing the best hotel service in Chongqing. 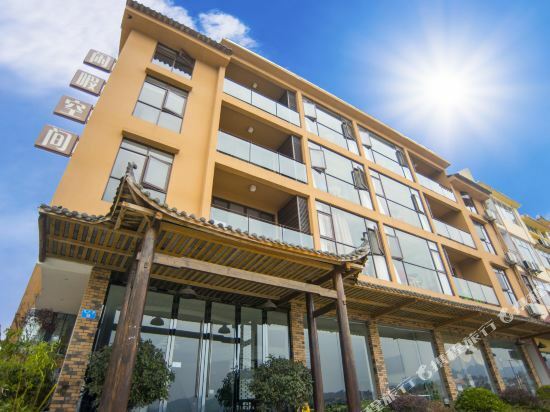 To ensure that you can find the latest Inns hotel in Chongqing, the latest hotel price as well as hotel facilities and indoor facilities information will be offered. 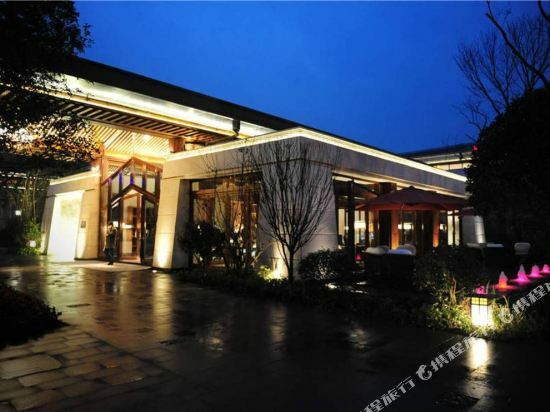 In the meantime, detailed photos of Chongqing Inns hotel will be displayed, making you know quickly whether hotel’s interior environment meets your taste. Besides, you can know specific location and reviews on Chongqing Inns hotel from millions of users. If you want a nice room with limited budget, please filter through price and distance to get an appropriate Chongqing Inns hotel. To ensure you can experience the best Chongqing Inns hotel, users and we give a comprehensive rating on hotel, which gives useful help. Believe it or not, as the biggest online travel service company, we have the best service assurance and perfect users’ experience to meet your requirements in different aspects, no matter it’s Chongqing hotel or Chongqing Inns hotel.